Red Clover, Chaparral, and Herbalene® Blend (special spice). Original Jason Winters Formula, with chaparral. Jason Winters Tea & Tribalene with chaparral contain a very small percent of the chaparral herb. However, we recommend that anyone with any kind of liver dysfunction/disease should not use chaparral. 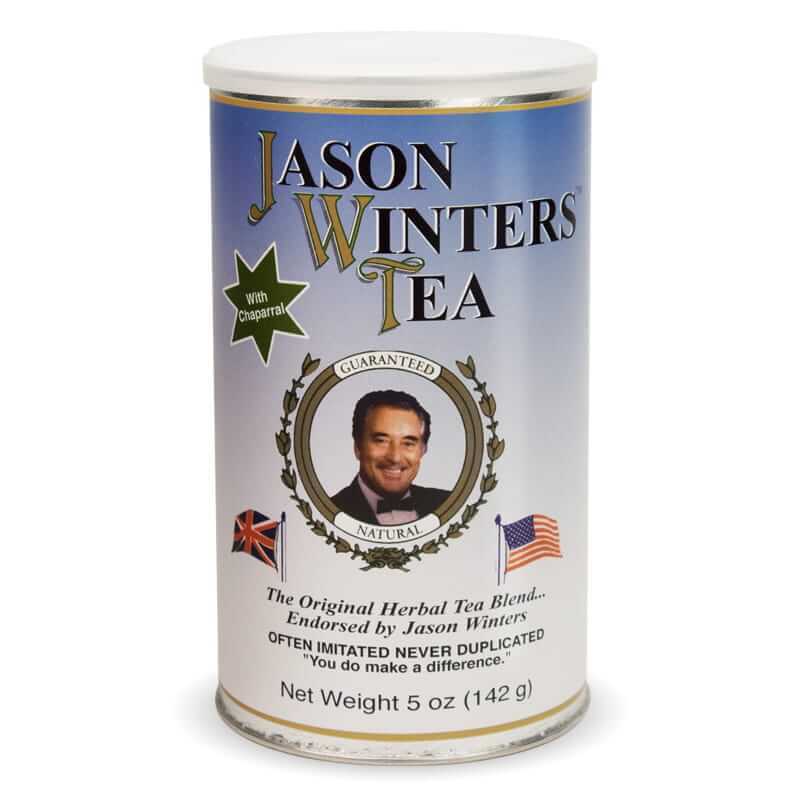 We have Jason Winters Tea & Tribalene with Indian Sage which have equal benefits. 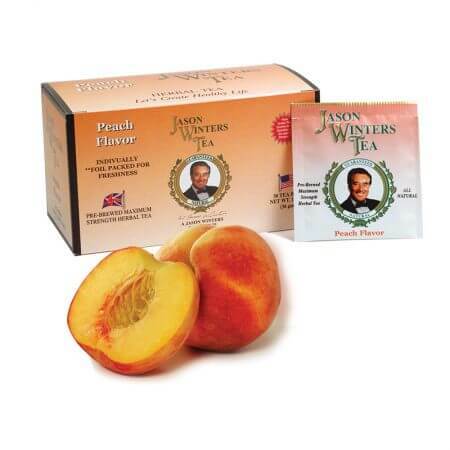 I was introduced to this tea by a supervisor after i had received a negative health report. I feel more energetic, my mind is clearer and my whole system is better when I drink this. Hi I’ve been drinking this tea to help with my immune system and I love drinking it as part of morning routine. Thank you for a wonderful product! 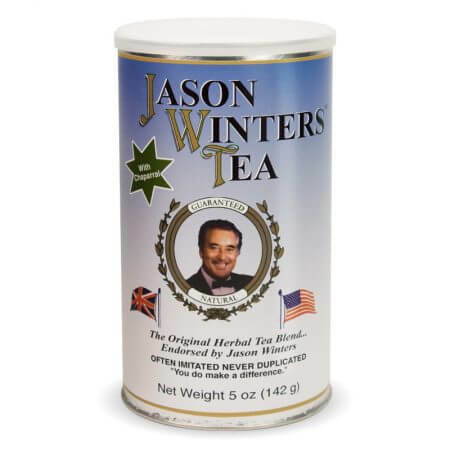 I have been drinking Jason Winters bulk tea with chaparral for 36 years. I was diagnose with hepatic cirrhosis of the liver 37 years ago and was told I wouldn’t live more that a couple years. I discovered the tea and drank up to two quarts a day. It has saved my life. My daughters were small children and I now have grandchildren older than they when I first started drinking it, When I start to feel fatigued and weak. I make a gallon and drink it til it is gone and feel so renewed. I give all the credit to the bulk tea for being alive today. I was diagnosed with bone cancer in 2012 and given 3 month to 2 years. I started drinking 2 glasses of tea a day and have not had hardly any bone pain so far. I also make my own Essiac tea and add it to your for an extra punch. I ran out for about a month when my husband lost his job and I sure could tell a difference and my body started to ache. I’m back on it and I won’t be without it again. Thank you for your wonderful tea! What a miracle working product! I’ve been drinking this tea since July 2013 for pain and swelling in my joints and body. I was introduced to your products by a young lady in Tokyo Japan and was told that many people in Japan drink the tea every day. My pain begin to subside and one day I decided to stop drinking the tea to see if it really was removing the pain and inflammation in my body. After not drinking it for 2-3 months I began to have the swelling, inflammation and pain again. So, it’s a fact that the Classic Herbal Blend and the Classic Herbal Blend with Chaparral was truly working in my body and as of this day I never run out and have continued to drink it each morning and evening before bed. I wouldn’t live without it and I’ve bought cans for others and continue to tell Sir Jason’s story as well as my own!!! 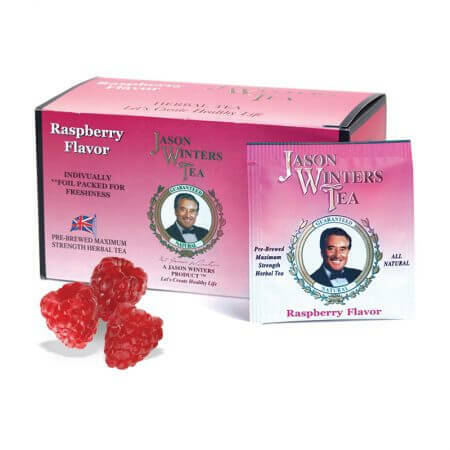 Thank you Winter’s family for continuing the AWESOME work of your father, Sir Jason Winters. I’ve been drinking this tea for about 3 weeks now. I mix it together with the Sage Tea and make it a pot at a time. I do feel more energetic than before using this product. My Dad was diagnosed with terminal cancer In December of 2015. Unfortunately it is not treatable and we fully expected him to pass within a very short time. He has been making his pot of tea on a daily basis and is still with us as of today. I read a small book about this product and decided to try it. Wonderful results and puts Dad in the best health condition to try and fight the cancer battle. We truly believe that the tea has helped prolong his fight! My mom saw a commercial about this and immediately told me to order. I was very skeptical at first because it seemed too good to be true and my mom is very gullible. To make her happy I reluctantly ordered and when it arrived I made her a cup right away. She said she felt so good, her blood sugar level was regulated and she always had trouble maintaining it. She was so amazed that she even went to her friends house and shared her container. Who ever complained of ailments she would make them a fresh cup and they say they feel better. Her container is almost empty because she’s just sharing and sharing. I had to put in more orders for this because they are begging me to get them their own can. To see my mom feel better and more active I am convinced this is legit. I will be a repeated customer!